Description: 35' FLEX DRAPER - FLIP OVER REEL KIT- SPARE SICKEL IN TUBE - UNDER 1500 ACRES USE. Call, email, or visit sloans.com for the current location of this item. Other websites show the location as Assumption, IL or Monroe, WI, while it may be at any of Sloans 20 stores. 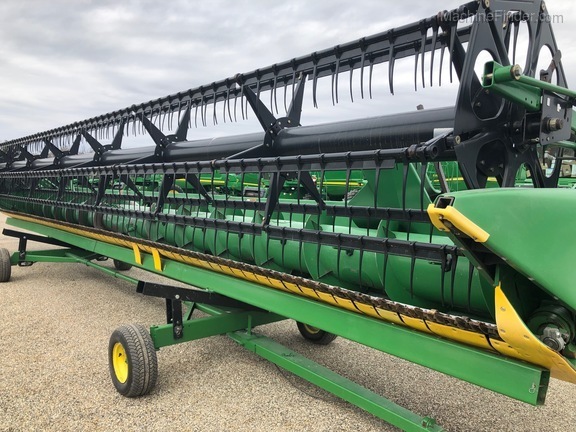 Description: 35' FLEX DRAPER - FLIP OVER REEL KIT - SPARE SICKLE IN TUBE - UNDER 1500 ACRES USE. Call, email, or visit sloans.com for the current location of this item. Other websites show the location as Assumption, IL or Monroe, WI, while it may be at any of Sloans 20 stores. Description: NICE HEAD LOW DAM. Call, email, or visit sloans.com for the current location of this item. Other websites show the location as Assumption, IL or Monroe, WI, while it may be at any of Sloans 20 stores. Description: JD 35FT DRPAER, GOOD BELTS, ALL NEW SICKLE AND GUARDS IN 2018 FLIP OVER REEL, STRAIGHT. Call, email, or visit sloans.com for the current location of this item. Other websites show the location as Assumption, IL or Monroe, WI, while it may be at any of Sloans 20 stores.